You don't always need to have somewhere to go to arrive in style. The FX Cruiser® High Output 50th Anniversary Edition – with features like a reboarding step, pull-up cleats, a metallic deck, chrome trim and a two-toned, textured Cruiser seat. The dash and convex mirrors boast an all-new design including a cockpit-like information center. This WaveRunner is equipped with everything you’d expect from a high performance flagship. A High Output engine, Low RPM Mode, Security Mode, adjustable tilt steering and Quick Shift Trim System are the features that make this WaveRunner the best of the best. 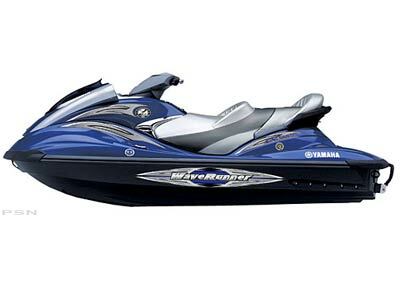 Chrome Accents - With finishing touches like unique chrome accents and a metallic blue deck, this WaveRunner separates itself from the pack even before it gets out on the water. New Luxurious Dash and Instrumentation - Yamaha’s exclusive fuel consumption meter helps you plan and monitor your fuel usage when going long distances. Air and water temperature gauges and a compass also make planning your day a cinch. Pull-up Cleats - Convenient pull-up cleats make life a lot easier when you’re tying up to dock or mooring to a buoy. 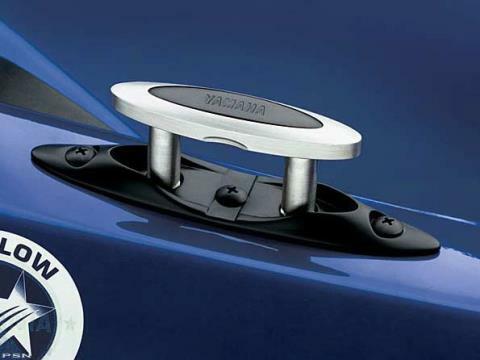 Two-toned Cruiser Seat - Yamaha’s innovative Cruiser seat, foot chocks and handholds provide additional support for the passenger and driver so everyone can ride more comfortably. The 155mm hyper-flow jet pump propulsion system with three-blade stainless steel impeller is designed to maximize water flow for high performance. 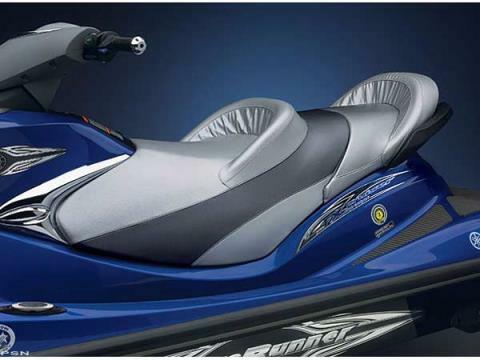 The FX pump configuration provides excellent hook-up and smooth acceleration. 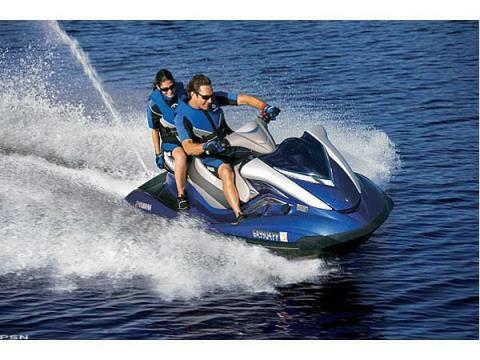 Reverse: Allows the watercraft to be backed up off a trailer or out of tight spots where you cannot turn around easily. 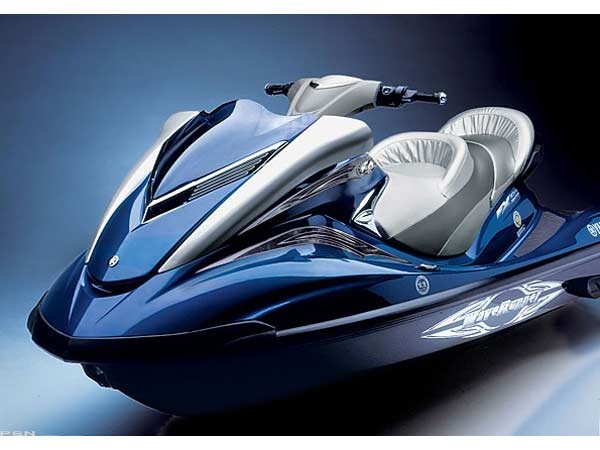 The FX Cruiser® High Output 50th Anniversary is powered by a Yamaha High Output MR-1™ engine. 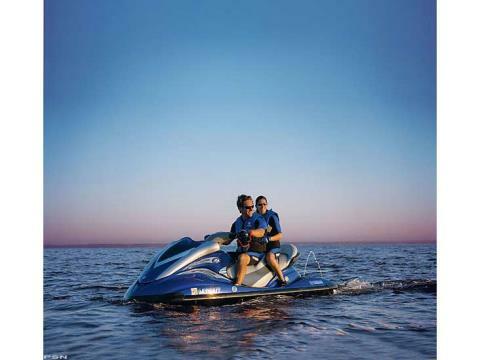 This 1052cc four cylinder, four-stroke Yamaha marine engine delivers more power in a lighter package than any other full-size, four-stroke normally-aspirated watercraft in the industry. The FX High Output 50th Anniversary model was specifically designed to be ultra-light. Built from a high-tech SMC material, the FX Cruiser High Output’s hull is not only the best-handling hull in its class, but its lighter weight adds to the FX Cruiser High Output’s best-in-class power-to-weight ratio.